Let me introduce you to the wildest train ride you’ll ever have the pleasure of hitching onto, partner. First thing’s first: this here is no ordinary train. And it ain’t no ordinary situation neither. Normally, out-of-towners are welcome aboard the Steampunk Express, but regrettably, this here caboose has some “uninvited” guests. Yes, sir: on this venture, you’ve taken on the role of members of Jacks’ Gang. Your band is a notorious group of good-for-nothings that are only out for trouble and money. By chance, it just so happens that this here train is your next hit. But what happens when your meticulously planned heist goes sideways, the train you’re supposed to be robbin’ begins to churn out of control, and you look ahead yonder to discover you’re running out of track fast? Well, partner, you’ll just have to write that ending yourselves in Trapology’s newest pop-up escape room: Steampunk Train. Steampunk Train gleefully combines the thrill of the Wild West with the mechanical complexity of the steampunk genre. 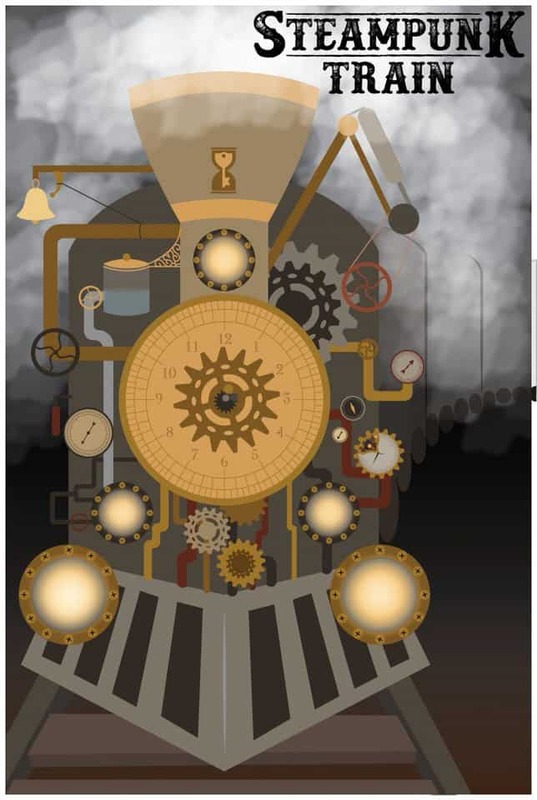 Blending together a healthy mix of games and problem-solving activities, Steampunk Train is great for families and those looking for an immersive adventure that packs a more accessible difficulty. All of this culminating to create a pop-up escape room experience distinct from anything else at Trapology. Unlike our other games, the train is only taking trips from our station for a limited time so make sure to keep an eye on our upcoming posts for when departures begin. Do you have what it takes to halt a runaway train and make off with a small fortune in the process? Well, partner, there’s only one way to find out. In the meantime, why not come by and test your wit on one of our four other rooms? We hope to see you soon! Game Master Bio: Leanne Trapology Turns 3!